I thought about giving this a try for sometime--so here goes. As we are a small group I thought this might work. While looking for my new virtual game I spent some time in Gaia. I built up a good inventory. 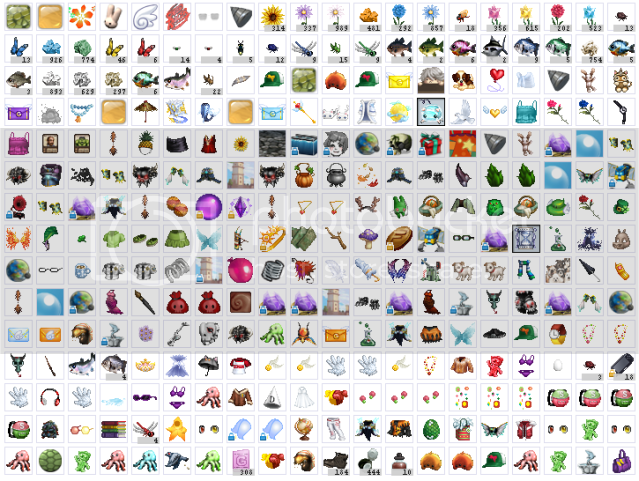 Since SmallWorlds ended up being my game of choice---I'd now like to trade some of my Gaia items for your SmallWorlds Stuff. There may be 1 couple soulbound items--but I do not think many fit in to that category. 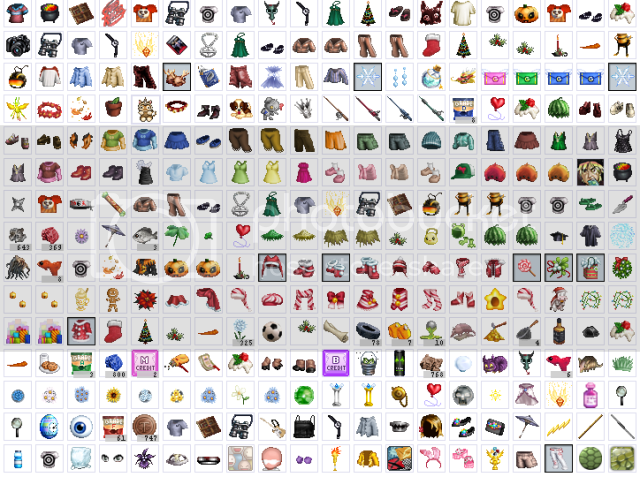 Below are pics of my Gaia inventory. I am most interested in trading for holiday items in SW, but will consider other trades for basic items. If you can not see the items--I can try and see if I have it. I don't remember what half the stuff is anymore. I looked at my SW account yesterday and I have a wrapped gift and and a wearable pumpkin head, and I may have another wrapped gift for you if I can remember my login for my other account. There are only 3 items I will trade. My antlers, reindeer slippers, and the red heart necklace. I am still considering, I am more a time breaking playing farmVille for the moment, but Why do you post pictures if you are only trading three items ?